The Second Age: Could the Tsarnaev Brothers Have Been Stopped? 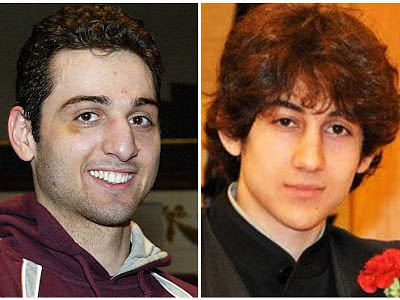 Could the Tsarnaev Brothers Have Been Stopped? When the news came out shortly after the marathon bombings that Moscow had contacted Washington about Tamerlan Tsarnaev's 2011 trip to the Caucasus region in Russia, I wanted to wait for more information to surface because of the very tense history between Chechnya and Moscow. Vladimir Putin's history with Chechen separatists is long and incredibly complex, to say the least. All of this is a large grain of salt when it comes to Russian intelligence on any Caucasus separatist movement and alleged members. On top of this, the separatist movements found in the North Caucasus region of Russia have one enemy in their eyes: Russia. It makes no sense, as some were quick to rush to postulate in the aftermath of the Marathon Bombings, that the Chechen separatist movement would attack American targets. There's a litany of reasons why this is true, but the main is that it makes no sense to attack a country who is usually at diplomatic odds with the country you view as your sworn enemy. It'd be like Puerto Rico attacking Saudi Arabia because they want to be independent from the United States. For the reasons stated above, I held back on lamenting the lack of action following a Russian-initiated tip on a possible Chechen-born extremist. As more information comes out on the law enforcement intelligence gathering and communication prior to April 15, 2013, however, it appears that there were multiple failures of various law enforcement agencies that could have prevented the bombings from occurring. The first is the revelation that the FBI did not share with Boston PD the tip that they received about the older Tsarnaev brother, nor the conclusion of the federal investigation into him. There are two particular worrying aspects about this. The first is that after 9/11, one cited intelligence failure was the absence of information sharing between agencies. Despite assertions to do better in this realm, it looks like a lack of interdepartmental communication was a factor in this attack. The second disturbing aspect is that the FBI and Boston PD have already undertaken extensive information sharing before and should have the infrastructure in place for something like this. During the Occupy protests in Boston, there was daily communication and intel sharing between not only the FBI and Boston PD, but private sector security as well. If this kind of extensive collaboration can occur for peaceful protesting in tents, I would hope it would apply to those who wish to commit violent acts of terrorism. 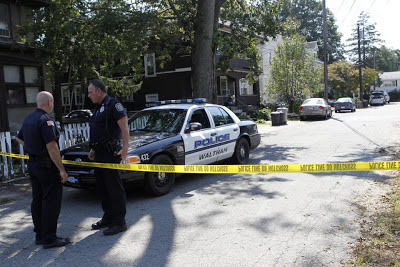 Now there are reports that the Tsarnaev brothers have become suspects in the unsolved triple murder in Waltham, MA of Brendan Mess, Erik Weissman and Raphael Teken. Tamerlan Tsarnaev had described Mess as his "best friend" to the owner of the gym where he worked out. According to ABC's law enforcement sources, forensic hits are contributing to "mounting evidence" that both Tamerlan and Dhokhar Tsarnaev are involved in the gruesome triple homicide back in September 2011. Had the FBI shared their investigation with Boston PD, would that have spurred interest in the Tsarnaevs for the Waltham murders? It likely would have been an angle at least discussed, given Tamerlan's association with Mess and his odd behavior following the murders (apparently Tamerlan did not attend the funeral for Mess, his self-described "best friend.") There's no word whether Tamerlan was ever questioned as a witness or otherwise for the murders. The Middlesex DA spokeswoman declined to comment for this post as to law enforcement's contact with Tamerlan after the murders. Whether or not either Tsarnaev was involved in the Waltham murders, all of this goes to a larger point. We as a country have given up a few liberties since that sunny Tuesday morning in September 2001 in the name of safety against terrorists who want to do us harm. The efficacy of these liberty rollbacks in the name of security, however, is up for debate. The marathon bombings was the first time that a terrorist had successfully bombed a soft target on American soil since 9/11. Others who have slipped through the cracks (the underwear bomber, the Times Square bomber) could have inflicted serious damage, but were too inept. Other terrorist "plots" that have been "prevented" by federal law enforcement were really just thinly veiled entrapments that would probably have never materialized without FBI encouragement. Which begs the question, if actual attacks like the underwear bomber, the Times Square bomber, and now the marathon bombings are occurring and essentially made-up plots are the only things being prevented with the PATRIOT Act and federal intelligence gathering, what is the point? Why are we giving up all of these liberties if, as NYPD Commissioner Ray Kelly points out, these kinds of attacks are essentially inevitable and the fact that New York hasn't been attacked again is partly due to "sheer luck"? Are we really safer with these tactics in place? All in all, there were multiple points at which the FBI and local PD could have collaborated to scrutinize the Tsarnaev brothers, specifically Tamerlan. Just because the FBI did not dig up anything on Tamerlan does not mean that local PD would have come to the same conclusion. It even could have renewed interested in the Waltham murders and Tamerlan's possible connection. If Tamerlan did commit the murders, or had something to do with them, he could have been behind bars or in custody on April 15, 2013. The real question is how we respond to this. Do we tighten up law enforcement communication and procedure, or pass more liberty-encroaching legislation while emotions are still high?